OMICS International successfully hosted its 6th Global Summit and Expo on Food & Beverages at Hyatt Regency Orlando International Airport, Florida, USA during August 03-05, 2015. The conference was organized around the theme “Modern & Sustainable Practices in Food and Beverage Sector” it was a great success where eminent keynote speakers from various reputed organizations made their resplendent presence and addressed the gathering. OMICS International feels proud and honored in inviting the contributors across the globe to its premier Global Summit and Expo on Food & Beverages (Food Summit 2015) to be held during August 3-5, 2015, Florida. Food Summit 2015 is the premier event that brings together a unique and International mix of experts, researchers and decision makers both from academia and industry across the globe to exchange their knowledge, experience and research innovations to build a world Food, Beverage scientists, Industrialists and entrepreneurs meet. OMICS International organizes 1000+ Global Events inclusive of 300+ Conferences, 500+ Workshops and 200+ Symposiums on various topics of Science & Technology across the globe with support from 1000 more scientific societies and Publishes 500+ Open Access journals which contains over 50000 eminent personalities, reputed scientists as editorial board members. Food and Beverage industry is the largest manufacturing sector in the America in terms of turnover, value added, and employment. USDA does not have official statistics on U.S. organic retail sales, but information is available from industry sources. U.S. sales of organic products were an estimated 28.4 billion in 2012 over 4 percent of total food sales and will reach an estimated 35 billion in 2014. For decades, a growing body of evidence points to food as the key to improving the health of our bodies, as well as the health of our communities and our environment. Our food choices are informed consciously or not by policy, society, economics, and marketing and, of course, personal choice. Increasingly, food is being touted as a method of prevention, and a prescription for better health. 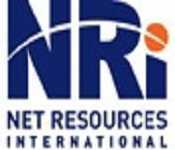 For more information on market research, please click here. The annual Food & Beverage Conference continues to be the premier environmental event for the food industry, bringing together senior environmental managers from food and beverage companies to share their experiences with sustainable practices, environmental compliance and new technologies and approaches. The conference is open to those employed by a food or beverage processing company, food and beverage industry vendors, and consultant partners and supporting trade associations. The conference is organized to foster information exchange and networking. This is an open event, we welcome and invite you to participate in this prestigious conference to make event as the best conference of Food & Beverage in Florida, USA. 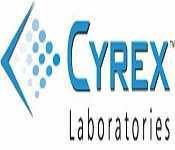 Frontiers in Food & Beverage Sector includes of current technology, food science and human nutrition. Its role is to by focusing on the most promising new research developments and their current and potential food industry applications in a readable, scientifically rigorous way. Topics include; new developments in food engineering; advanced biotechnological and food nanotechnology developments and applications in food research; quality assurance methods and application of food-omics techniques; research focusing on identifying and understanding molecular-level interaction between nutrients and other dietary bio-actives with the genome called Nutri-genomics. Feeding ever increasing world population to satiety has become the most daunting task of the century in the aftermath of ever increasing demand for food, shrinking the extent of arable lands, decreasing potential food production from natural resources, global warming, pollution, and consequences of human interventions. Hence, food safety and food security is of prime concern in most part of the globe for centuries. Today more than ever, food products regularly cross national boundaries at every stage of the supply chain, from farm to fork. ISO International Standards create confidence in the products we eat or drink by ensuring the world uses the same recipe when it comes to food quality, safety and efficiency.ISO provides a platform for developing practical tools through common understanding and cooperation with all It includes risk assessment of both biological and non-biological hazards in food; food allergies and intolerances, rapid techniques for online control and by different food preservation methods. Food physical chemistry is essential to understanding the behavior of foods. New or novel raw materials including bioactive compounds, ingredients and technologies; molecular, micro, macro and nano-structure; food function and physico-chemical reactions in food formulations and relationships between diet and disease. Food processing and packaging is just to meet the productivity demands and to adopt sophisticated automation, control and monitoring methods and techniques. Topic includes that significant amount of processing and packaging research and developments involve study of automation, control and monitoring. 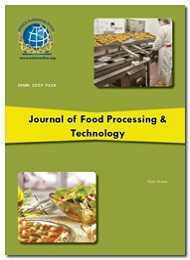 Therefore, besides describing various stages of food processing, provides a detail review on many subtopics including recent advances in smart packaging techniques, the role of nanotechnology in packaging, various types of packaging machineries including the application of robotics, package printing techniques, conventional automation and control tools, novel food processing and packaging technologies etc. 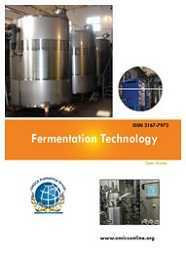 Fermentation Technology emphasizes the application of biological and engineering principles to problems involving microbial, mammalian, and biological/biochemical systems. This track includes biological and biochemical technology, perspectives on biological systems with industrial practices. The value of the cell culture industry is experiencing extraordinary growth, with a projected value of around $24 billion by 2018. Providing a comprehensive round up of the latest in cell culture and biological processing called bioprocess, this track cover subjects spanning from raw materials to bioreactor design, instrumentation, control and automation and novel cell line development technologies, to advances in process development and strategies to deal with moving to clinical trial and manufacture. The food and beverage industry spends nearly $2 billion annually to foods and beverages market to children and adolescents in the U.S., reaching young people in the places where they live, learn and play. A report from the Institute of Medicine concluded that food advertising affects children's food choices, food purchase requests, diets and health. Although there has been some progress in reducing the amount of food marketing directed at children, the majority of foods marketed to children remains unhealthy. This track also aims to explore economic, social, biophysical, technological and institutional drivers of current and future global food security. The topics list includes, inter alia: enabling trade and market food policies for local and global food security; sustainable intensification of food production systems; novel ways of feeding 9 billion; land sparing, land sharing and trade-offs; agricultural production as feedstock for renewables; lost harvest and wasted food; nutritional security; and labelling, certifying and striving for quality and sustainability of food production. Fermented beverages have been produced around the world for generations, but in recent times these predominantly traditional beverages have been regarded chiefly as premium specialty products. However, as consumers seek out all-natural products, fermented soft drinks have found new popularity. In recent times, there has been growing recognition of the key role of foods and beverages in disease prevention and treatment. Thus, the production and consumption of functional foods has gained much importance as they provide a health benefit beyond the basic nutritional functions. At present, beverages are by far the most active functional food category because of convenience and possibility to meet consumer demands for container contents, size, shape, and appearance, as well as ease of distribution and storage for refrigerated and shelf-stable products. The General Food Law Regulation ensures a high level of protection of human life and consumers' interests in relation to food, while ensuring the effective functioning of the internal market. Although food businesses are generally responsible for ensuring the safety of the food they produce, governments usually consider that this has to be ensured through the use of food legislation. This track provides an overview of the main objectives of food law, the main elements that the legislation covers and its structure. A brief section considers how food law is key to food safety requires rapid methods for food hygiene inspection, guidelines for food safety in standards & regulations basis. Nutritional metabolism encompass studies in obesity, diabetes, lipidemias, metabolic syndrome and exercise physiology that have an underlying basis in metabolism. Nutritional Disorders include diseases that affect endocrine glands (thyroid, parathyroid, pituitary, adrenals, thymus, islets of pancreas, ovaries and testicles), nutritional deficiencies such as malnutrition and vitamin deficiencies, and metabolism disorders such related lipid metabolism, carbohydrate metabolism, amino acid metabolism, plasma protein metabolism and other metabolic disorders. 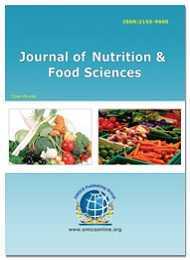 This also includes Public Health Nutrition provides an dissemination of research and scholarship aimed at understanding the causes of, and approaches and solutions to nutrition-related public health achievements, situations and problems around the world. We look forward to an exciting scientific event in the beautiful city of Florida, USA.